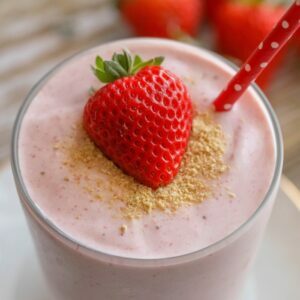 Strawberry Cheesecake Smoothies - a thick and delicious drink filled with strawberries, cream cheese and more! Place all ingredients minus the graham cracker crumbs in your blender. Blend until smoothie. Top with crumbs and fresh strawberry.